Age 90 of Waipahu, HI, passed away on November 17, 2017, in Waipahu. Born August 4, 1927, in Waialua, HI. Retired from Department of Defense, USAF. She is survived by sons, Paul (Carla) Razon; Carl (Judith) Razon; Homer (Ada) Bayona; daughters, Robyn (Wendell) Staszkow; Rosemary (George Terry) DeCosta; Lucy Bayona; brothers, Melvin Vios; Vincente Vios; Ricky Vios; sister, Consuelo Tenio; 13 grand- children; 26 great-grand- children. 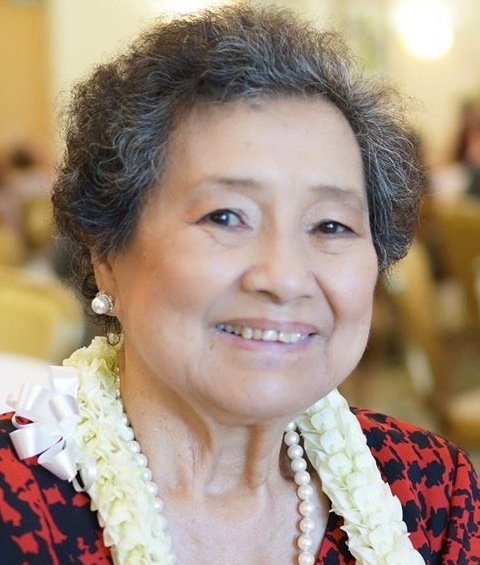 Visitation 6:00 - 9:00 p.m. Wednesday (Dec. 27) at the Mililani Mortuary Mauka Chapel; wake service 6:30 p.m. Visitation also 9:30 a.m. Thursday (Dec. 28) at St. John Apostle & Evangelist Church (95-370 Kuahelani Ave., Mililani); Mass 11:00 a.m. Committal service to follow 1:00 p.m. at Hawaii State Veterans Cemetery, Kaneohe. Casual attire.